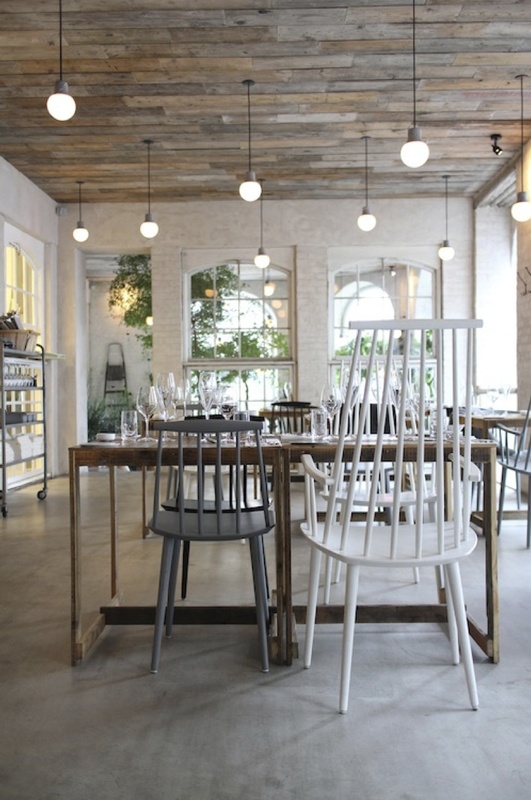 I recently discovered this gorgeous industrial restaurant which has been making me want to head for Copenhagen (and not just because the stunning Danish Princess Mary is Australian!). 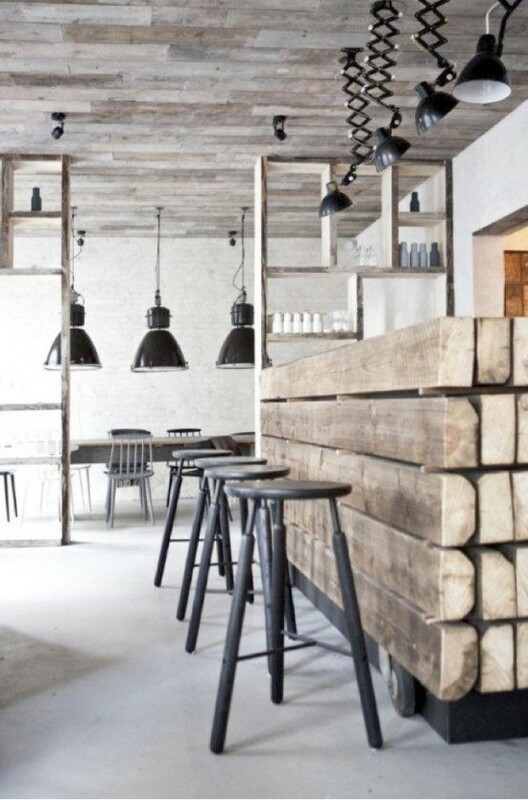 The hip and happening Höst Restaurant opened late last year, offering an urban eatery with rural and industrial references. I loved the first image so much, I wanted to see more and find out about the design process. 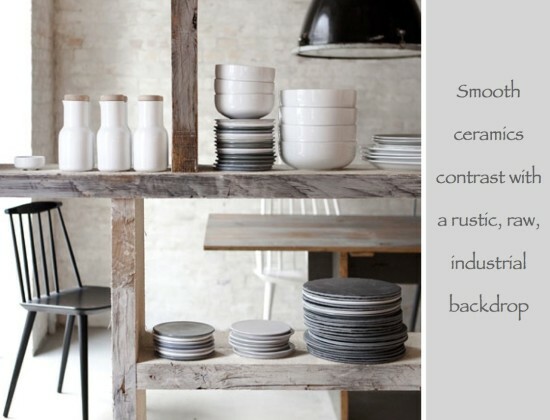 A bit of digging revealed not only more gorgeous imagery, but also some insight into the Scandinavian restaurant’s aesthetic. 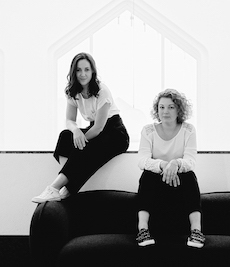 Danish architect firm Norm joined hands with design house Menu to bring Copenhagen-based restaurateurs Cofoco their 10th restaurant, where Scandinavian design pieces offset the warehouse setting. Though the overall look is minimal, the large space is nonetheless cozy, thanks to recycled materials that form the basis of the industrial style interior, including dented zinc, uneven slabs of granite and concrete, rustic wood and cast iron. That the materials are all generously battered with age is what makes this space so uniquely textured. Industrial pendants, contemporary Scandinavian design and custom created dinnerware and barstools by Norm result in a striking contrast where old meets new. Bright pops of green in the restaurant’s conservatory to give diners the feeling of being outdoors, while floods of light contribute to the space’s quintessentially Scandinavian aesthetic. I have read that the menu echoes the restaurant’s rural and organic theme, offering new Nordic cuisine that blends tradition with contemporary methods of food preparation. 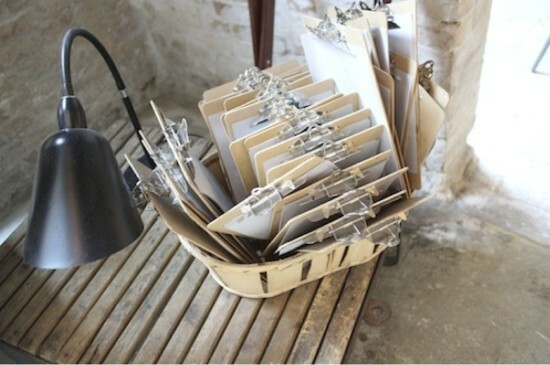 What do you think: do you also love the industrial interior of this restaurant? Feeling tempted to duck off to Copenhagen for the weekend? 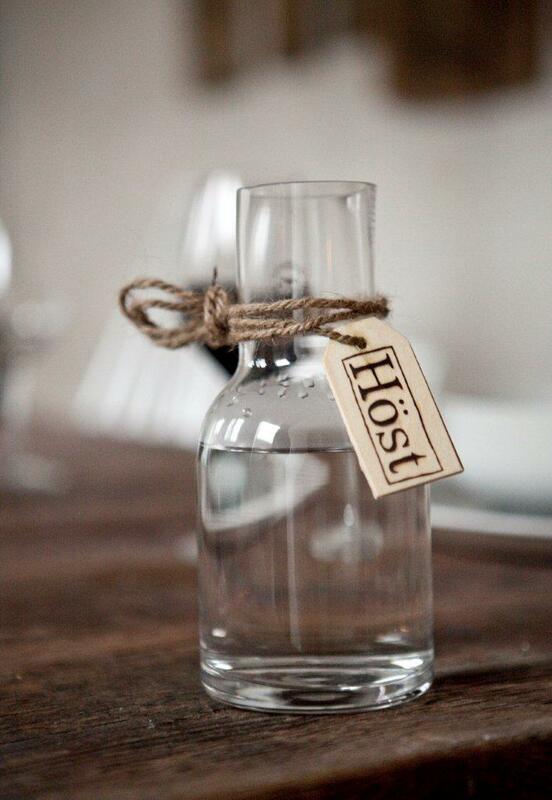 If you live in or plan on visiting Denmark, make sure you book a table at Höst. The restaurant is located at Nørre Farimagsgade 41; 1364 Copenhagen.